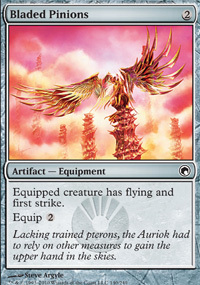 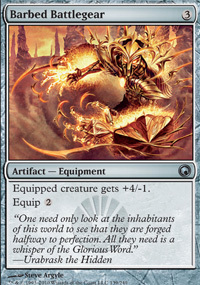 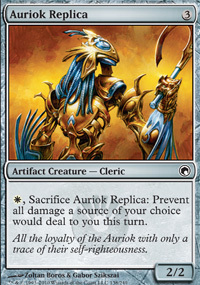 W, Sacrifice Auriok Replica: Prevent all damage a source of your choice would deal to you this turn. 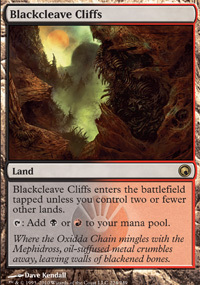 TAP: Add B or R to your mana pool. 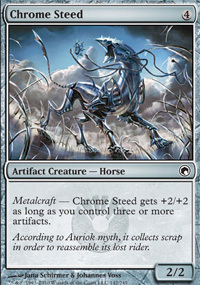 Metalcraft - Chrome Steed gets +2/+2 as long as you control three or more artifacts. 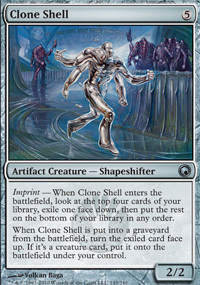 Imprint - When Clone Shell enters the battlefield, look at the top four cards of your library, exile one face down, then put the rest on the bottom of your library in any order. 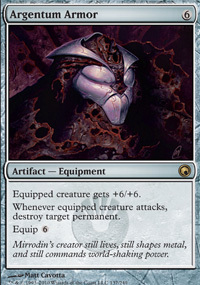 When Clone Shell is put into a graveyard from the battlefield, turn the exiled card face up. 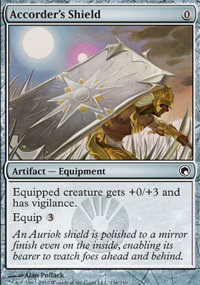 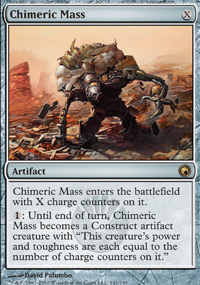 If its a creature card, put it onto the battlefield under your control. 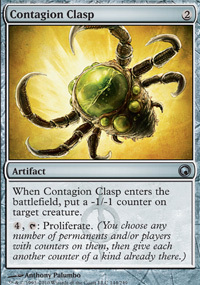 When Contagion Clasp enters the battlefield, put a -1/-1 counter on target creature.